Given the fact that our entire range of Union Wines are produced as a blend of grapes, we thought it would be interesting to share with our consumers some of the benefits of blends versus 100% varietals. Ultimately, blending in winemaking is how producers get the complexity of multiple flavours and aromas, which allow them to grant us with a beautiful start and finish to each glass we sip. Most consumers buying a bottle of Cabernet Sauvignon or Chardonnay are buying the bottle because they know they enjoy the crisp tannins or citrus aromas they’re almost always guaranteed to get. Blends are all about the pursuit of balance, and mixing up those components to create something memorable and different. If a wine doesn’t have a strong scent, for example, winemakers have the ability to add a small percentage of a more potent smelling grape, thus allowing them to offer a more unique blend than a single varietal. 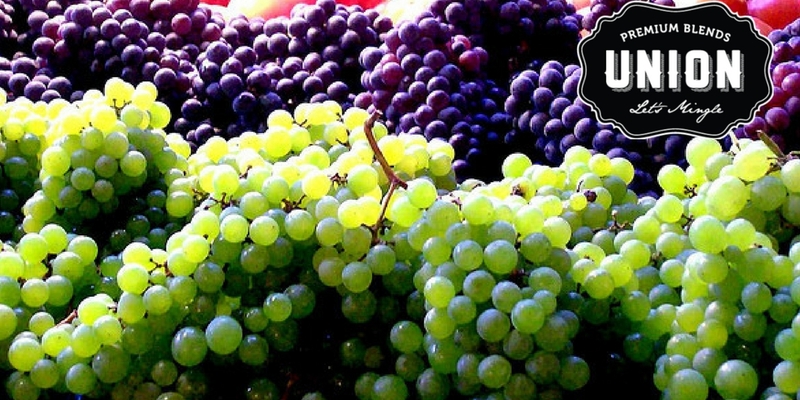 There are definitely certain grape varietals that can stand on their own and don’t need to be messed with. We’d like to think that by producing rich and complex blended wines, we’re messing with the grapes in just the right way! Riesling and Chardonnay are two of the most highly regarded white grapes in the world, so it made sense for us to mix them together. The consistent roundness of Chardonnay coupled with the citrus notes of Riesling help to create an approachable glass of wine marked by high acidity. Adding the Gewürztraminer tops off the blend with a lovely floral aroma. Its lower acidity also balances out the more highly acidic Riesling and helps keep the sweet body of the Chardonnay. One of the most popular and well loved blends out there, these two grapes pair together in a marriage of fruit, elegance, and class. The soft fruits like cherry, raspberry and plum offered by the Merlot are complemented by the cassis and mocha of the Cabernet to make a rich glass of deliciousness. Merlot grapes are often more juicy and fatter, with their plumper berries giving way to more juice than skin. Coupled with the bold, tannic structure of the Cab, this makes the glass of wine smooth and refreshing. Both of these grapes are quite commonly used as single varietals, but their blend comes together to make a rustically medium-bodied wine. Gamay is typically associated with being a more wild and fruity grape, while Pinot Noir has a longstanding reputation for its lightness and flavours. This allowed for us to make a blend of earthy, savoury goodness that pairs excellently with lighter proteins. Ultimately we blend our wines for our consumers, and we thank you for continuing to enjoy all of our Union Wines!